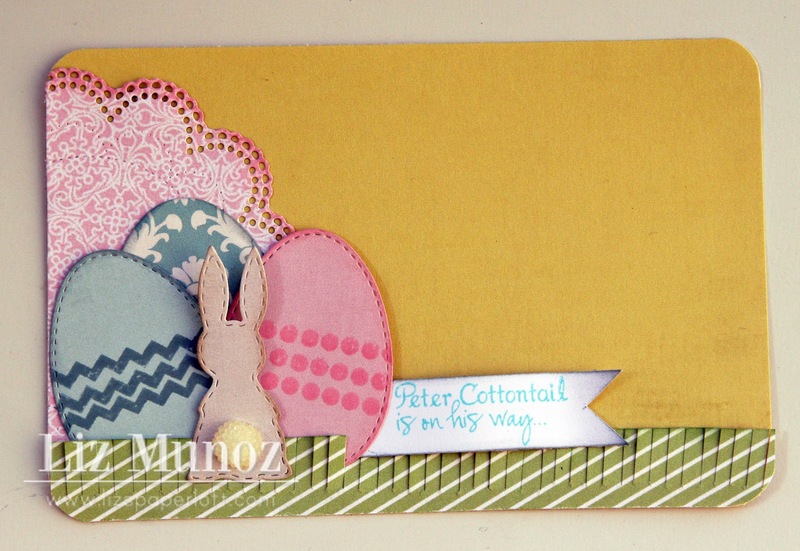 Liz's Paper Loft: Scrapping The Little Things ~Peter Cottontail! I used Martha Stewart fringe scissors for the grass. Don't forget to see what my design teammates made! 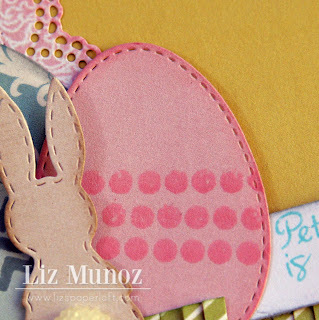 This is so super cute, Liz! Great idea to work ahead and make a title card! I will definitely need to scraplift this one! Very cute perfect for the photo that will come soon. That is a good idea to make and send to other family members and they can add their photos. I would not judge...you are way ahead of me getting pages done :D Being ready for the next is as good as doing an older page. Love the idea and the flowers are perfect tails. Great job! 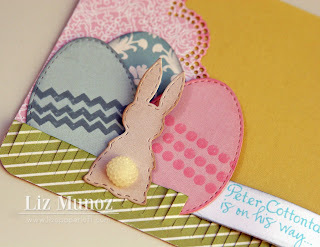 Super cute and I do love the sweet bunny tail:) cute, cute! Liz ~ Oh so NOT judging here! Beisdes the fact this is simply ADORBS and BEAUTIFUL ~ so CLEVER! To make you own cards for PL ahead of time ~ I LOVE that idea! 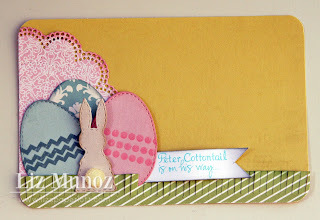 Well the paper hoarder in me LOVES the papers and that bunny tail is so CUTE! As always AWESOME job!